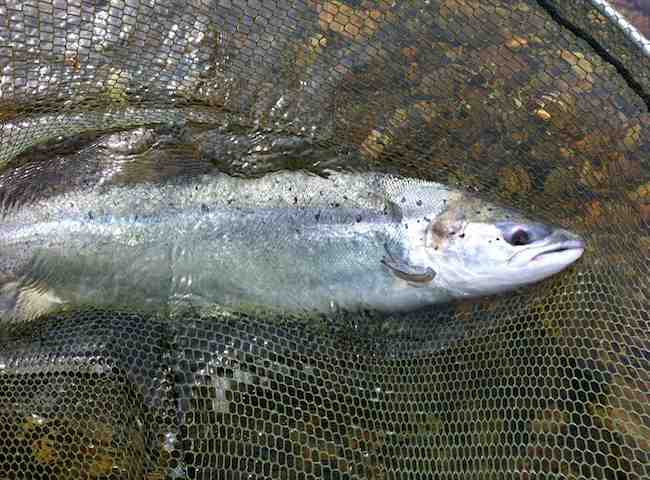 Here's a wee flash of silvery blue Spring salmon brilliance from the River Tay during the month of March. 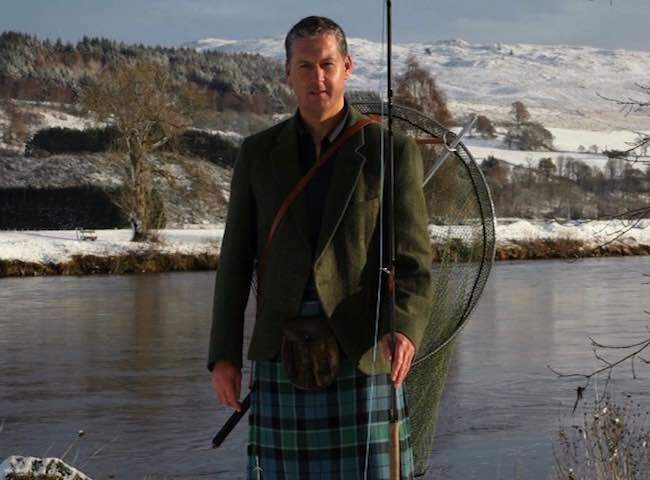 Let us arrange an interview for you and your colleagues with the 'King of Fish' on the Tay during 2018. Here's a shot of the historic Dunkeld Cathedral taken from the boat in the Dunkeld house Cathedral Stream pool. This is an amazing pool to fish especially when the church bells are ringing. Here's a close up of the most respected prize in UK fishing. 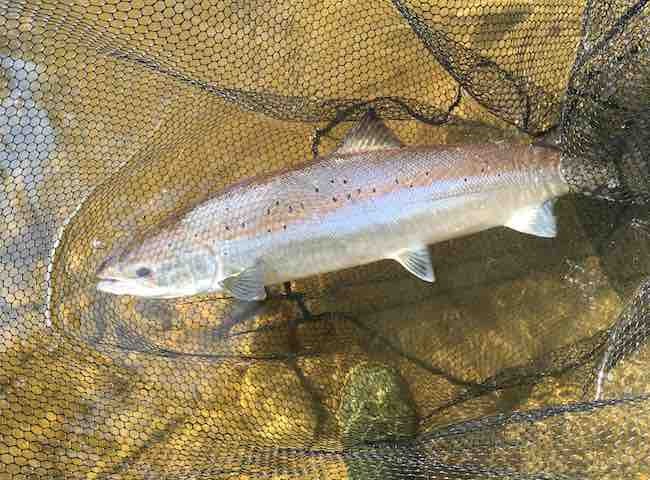 This fine fish was caught on the River Tay during May which is a great Scottish salmon fishing month on Scotland's leading salmon river. Great food tastes even better overlooking the beautiful River Tay and the ocassional splash of a salmon. 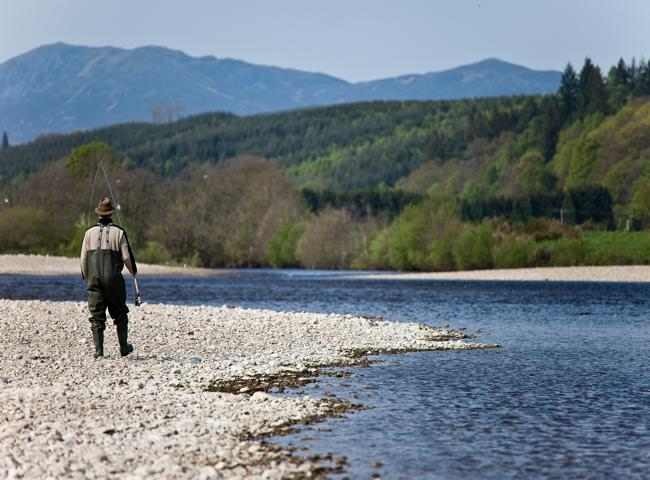 Book your 2018 River Tay salmon fishing event now and see for yourself. 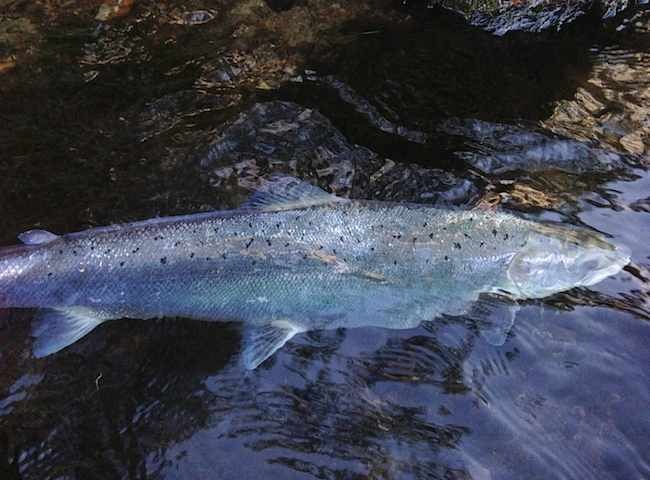 Here's a shot of the finest game fish of all that inhabits the rivers of the Northern hemisphere. Book an informative insight for your business colleagues into how to obtain a close up view of one. 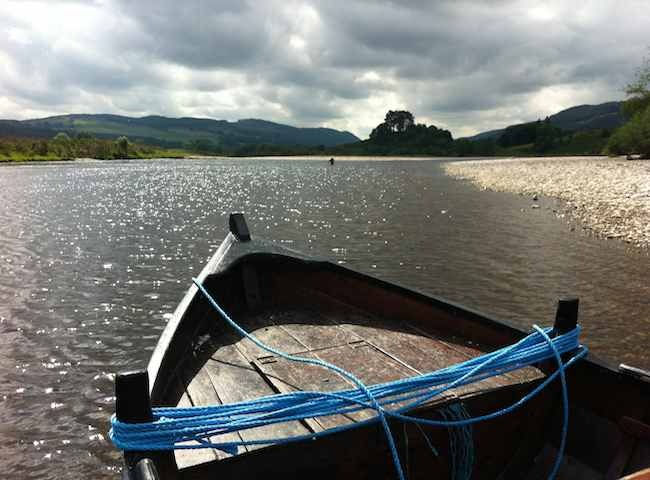 The traditional clinker built River Tay salmon boats play a big part in the salmon fishing strategy on all salmon fishing event days in addition to the tactical riverbank salmon fishing approach. 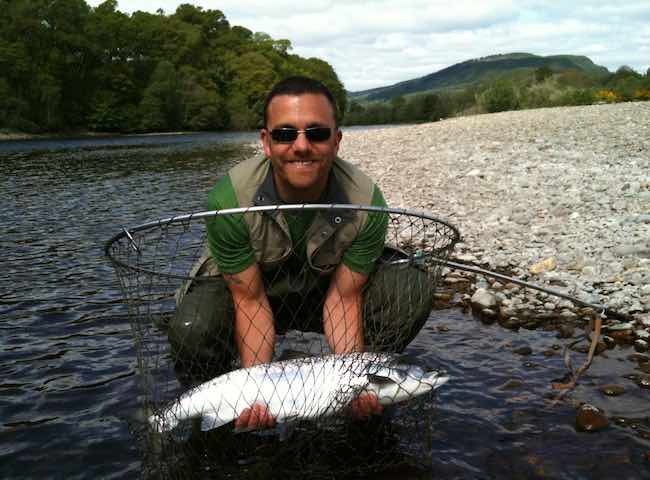 Here's another delighted River Tay salmon fishing event guest with one of the finest rural pursuit acquisitions of them all. Book an introduction to these fine specimen Tay salmon for your business associates in 2019. 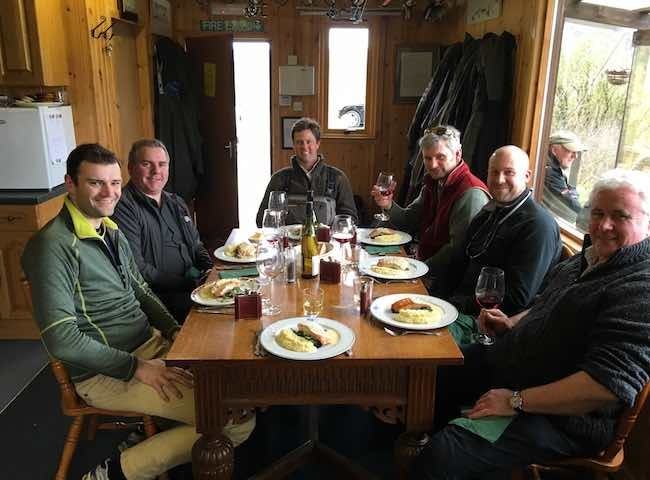 The beauty of booking a professionally coordinated Scottish salmon fishing experience is that you don’t need to be a salmon fisher as effective tuition is given at the start of the fishing day. 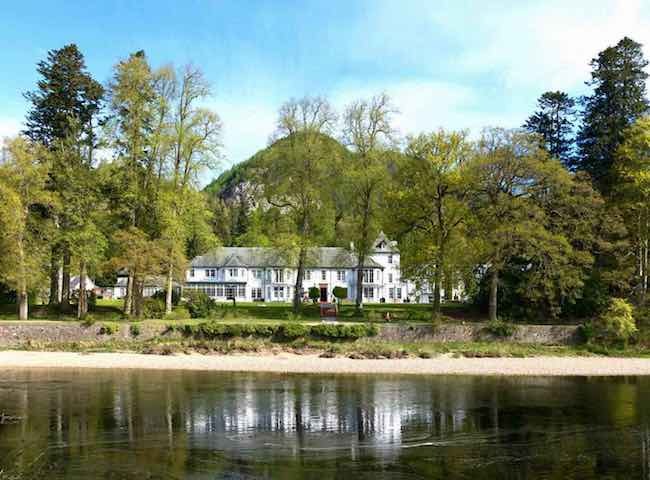 The beautiful 4 star Dunkeld House Hotel in Perthshire makes a perfect accommodation choice for your 2019 salmon fishing event as it is positioned only 70 yards from the famous River Tay. Happy New Year to you and I hope that 2019 brings great health, real prosperity & many fulfilled dreams. 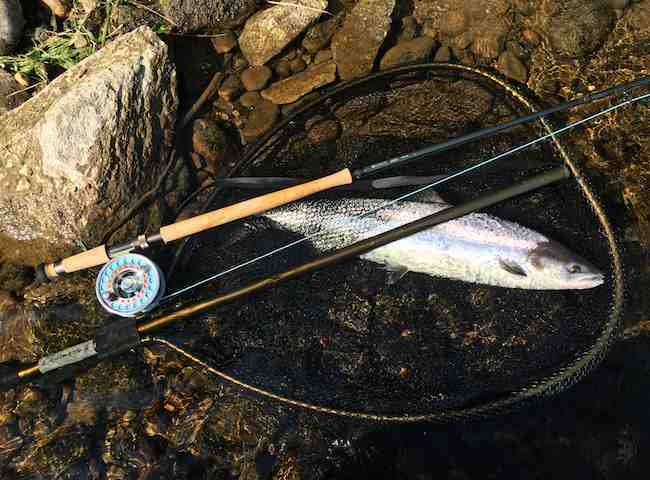 I hope too that a few of our prized fresh run River Tay salmon await your fly. This perfect shot was taken from the neck of the Ash Tree Pool on the famous Lower Kinnaird salmon fishing beat of the River Tay. 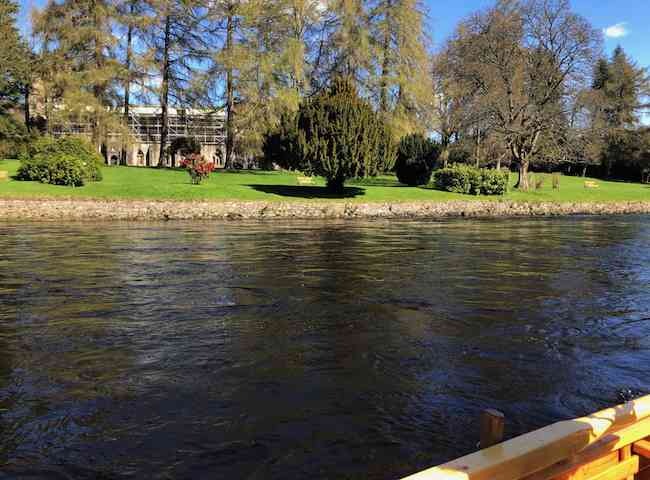 This is one of our many preferred Tay salmon fishing event venues.